Paul Sadoff: A few kids down the street had an old beat-up bike that they were taking turns riding, I had not ridden a two-wheeler and was about 7 years old. As soon as I got on and started pedalling down the street, that was it. OSMTB: What was the first bike you built? 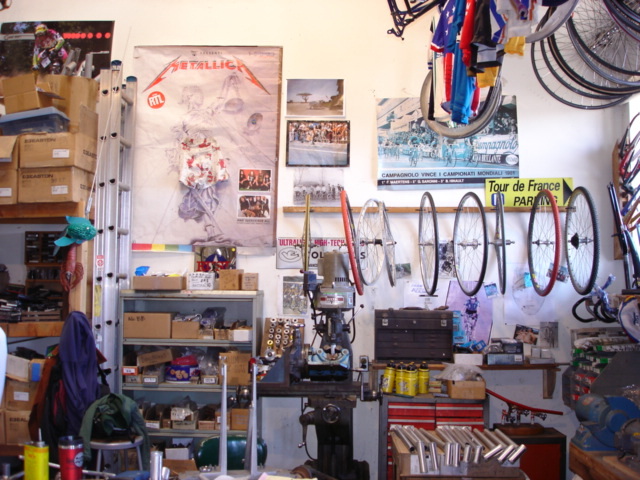 Paul Sadoff: I still have it, a track bike I built in 1978. It was a real nice looking but bad steering frame. I did a little work to it last summer and it rides pretty nicely now. OSMTB: How does building an MTB differ from building a road or cx bike? Paul Sadoff: When I build an MTB frame I have to consider the shock, fork and the tyre size . With ‘cross or road there isn’t as much variation in the tyres and nobody uses a shock.The handlebars on an MTB call for a different cockpit than a drop bar bike as well. 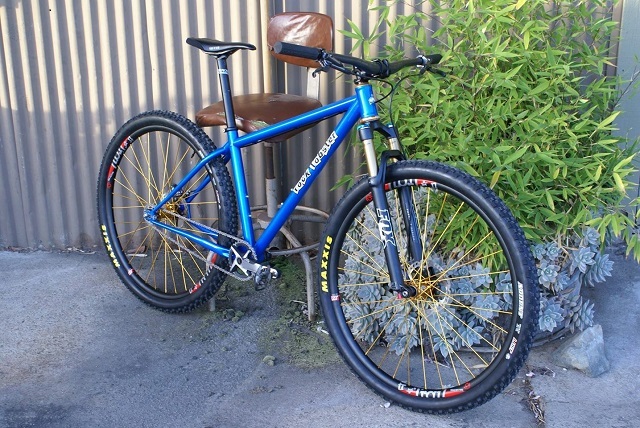 OSMTB: Do you still build custom steel hardtail MTB’s? 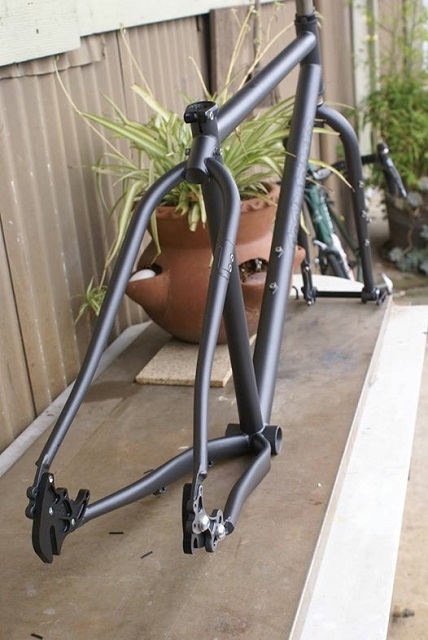 Paul Sadoff: I have a new 29er I want to build up but I don’t have all the parts yet…….3 months and counting ! Paul Sadoff: I mostly ride on the road or on the ‘cross bike in the dirt . I pretty much ride on the trails not far from my shop : Wilder ranch, U.C.S.C. and Grey Whale Ranch, places I have been riding for over 30 years. Paul Sadoff: Riding, mostly. Sometimes I’ll see something another builder has done that is inspiring but mostly I get fired up by riding or being at cyclocross races. OSMTB: Might be an obvious one but I don’t know… where did the name Rock Lobster come from – is it a B52’s thing? Or is it more of a jumbled up Stumpjumper kind of a name? Paul Sadoff: I saw the B-52’s in 1979…….later in 1983 I though it would be a great name for a mountain bike, not overly serious and fun sounding so I adopted it. OSMTB: How do you feel about the mass produced frames that were sold in the UK? That is how most people over here know your work. Paul Sadoff: I designed those frames and they were originally sold here, the U.K. and Germany. I got really good feedback on them from nearly everybody and they have held up well. Overall I’m happy that something I designed became available to a lot more people for a more affordable price. OSMTB: How do you feel about your old frames being coveted now, would you prefer sales of new bikes? 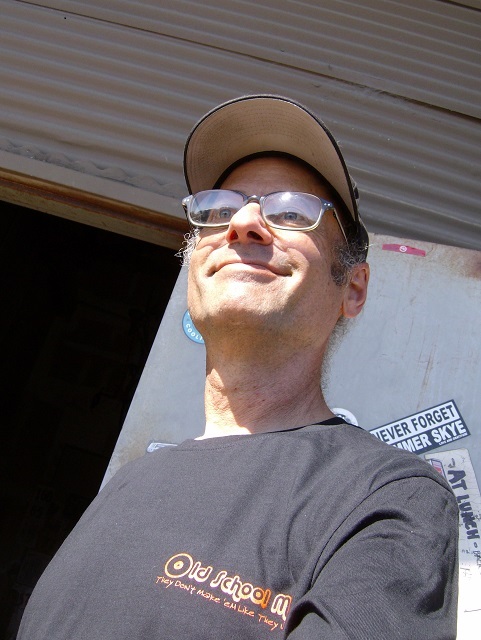 Paul Sadoff: My older frames are coveted? That is news to me…….good news! I am thrilled if that is the case. Judging by what they sell for on craigslist and ebay, I would say that they are not priceless Stineways yet! OSMTB: What traits do your frames have, what sort of handling and characteristics are particular to Rock Lobsters? Paul Sadoff: I don’t like scary bikes, I don’t like bikes that require getting used to. My hope is that I have a bike that steers well in most situations, feels safe without feeling boring. A bike that steers from the hips rather than the arms is what I try for. OSMTB: How come the Roc’r forks never took off? Paul Sadoff: The designer made a few errors on the later versions and one sent to a magazine ( Dirt Rag ) broke in half on a test ride……it was really embarrassing. After that the designer and the fork disappeared into obscurity and my bikes came with Judy forks. OSMTB: What’s the scoop with the ‘Expert 1994 Frames’ that were imported into the UK by NTI?…How many and what was the relationship with NTI?? Paul Sadoff: Bill Nicol of N.T.I. 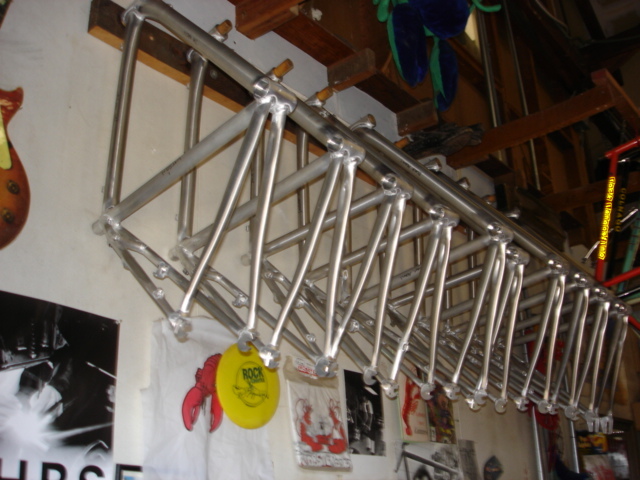 was looking for kind of an affordable ‘house brand’ to sell, he knew of me and figured that my designs were well liked by the locals and could be duplicated as limited production frames made in Taiwan. Bill offered me a kind of partnership and we proceeded, making about 400-500 from 1993-1998. Now the range has expanded to have aluminum and titanium versions offered by Merlin Cycles Ltd. who took up the partnership when N.T.I. closed its doors in 1998. You would have to ask Merlin about the production numbers for the frames produced after N.T.I. folded. Paul Sadoff: I don’t know……maybe if the hite-rite and non-index thumb shifters come back with it. I like gold ano personally……. OSMTB: Anything else about yourself or the company you would like to add?? Paul Sadoff: Not much……my whole contribution to the mountain biking world is very small. The only thing I think I can lay claim to is that I really got fired up about single speeds back when nobody except for a crazy few were bothering with it. 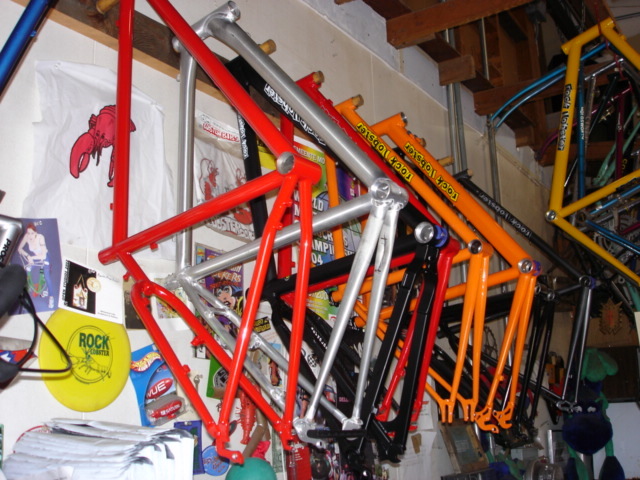 I made, from the ground-up, dedicated single speed MTB’s beginning in 1987…….it was a really hard sell for the first 5 years. I think I also did a bit to make cyclocross bikes that didn’t take a circus acrobat to steer. Other than that I’m just another guy in a metal shed building stuff to ride. Paul Sadoff: I have been adopting the new standards like thru-axles, tapered steerers and the like. I have only built one 29er-plus so far but I see more of those coming in the future. 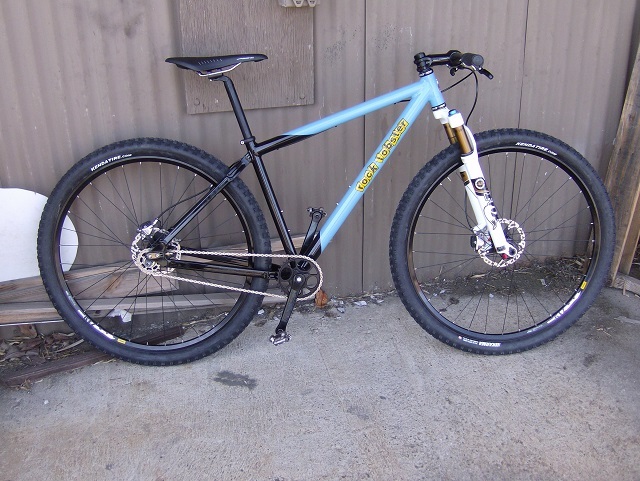 There is a small resurgence in the hardtail builds……especially for single speeds with rigid forks. I think that I have made 84 frames so far this year-looking to get to 100 possibly by new years but it is more important to keep the quality than to reach a certain number. OSMTB: Thank you for your time. Paul Sadoff: Thanks…..glad that you are carrying on with the old school MTB stuff – we can’t let it die! Parts of this interview were originally published on the old version of OSMTB and are repeated here with the kind permission of Paul. ← Danny MacAskill – The making of Riding the Ridge – Limited Time!